Nationwide League Division One playoff matches have been postponed until further notice. The new development was confirmed by Nationwide League One (NLO) via Twitter earlier on Tuesday afternoon. 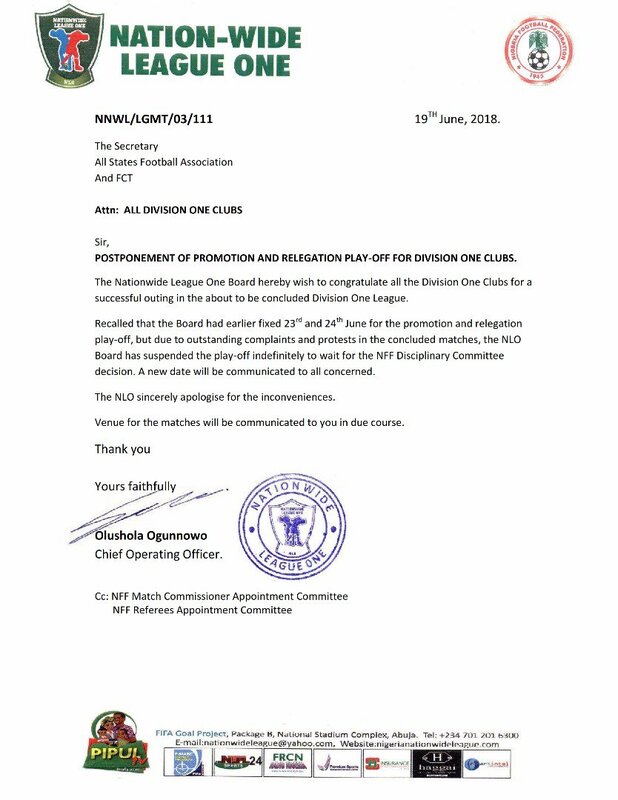 According to the body, promotion and relegation play-off matches earlier scheduled for June 23, 24 has been postponed indefinitely. The body added that the postponement was necessary for the Nigeria Football Federation (NFF) Disciplinary Committee to decide on the various petitions relating to the regular season and that a new date and venue for the matches will be communicated in due course.